For enhanced safety, the front and middle seat shoulder belts of the Mercedes GL-Class have pretensioners to tighten the seatbelts and eliminate dangerous slack in the event of a collision and force limiters to limit the pressure the belts will exert on the passengers. The Infiniti QX60 doesn’t offer pretensioners for the middle seat belts. The GL-Class has standard NECK-PRO Front Head Restraints, which use a specially designed headrest to protect the driver and front passenger from whiplash. During a rear-end collision, the NECK-PRO Front Head Restraints system moves the headrests forward to prevent neck and spine injuries. The QX60 doesn’t offer a whiplash protection system. To provide maximum traction and stability on all roads, All Wheel Drive is standard on the GL-Class. But it costs extra on the QX60. When descending a steep, off-road slope, the GL-Class’ standard Downhill Speed Regulation allows you to creep down safely. The QX60 doesn’t offer Downhill Speed Regulation. The Mercedes GL-Class has Daytime Running Lights to help keep it more visible under all conditions. Canadian government studies show that driving with lights during the day reduces accidents by 11% by making vehicles more conspicuous. The QX60 doesn’t offer Daytime Running Lights. An active infrared night vision system optional on the GL-Class helps the driver to more easily detect people, animals or other objects in front of the vehicle at night. Using an infrared camera and near-infrared lights to detect heat, the system then displays the image on a monitor in the dashboard. The QX60 doesn’t offer a night vision system. The GL-Class’ driver alert monitor detects an inattentive driver then sounds a warning and suggests a break. According to the NHTSA, drivers who fall asleep cause about 100,000 crashes and 1500 deaths a year. The QX60 doesn’t offer a driver alert monitor. Both the GL-Class and the QX60 have standard driver and passenger frontal airbags, front side-impact airbags, side-impact head airbags, height adjustable front shoulder belts, four-wheel antilock brakes, traction control and electronic stability systems to prevent skidding. The Mercedes GL-Class weighs 939 to 1255 pounds more than the Infiniti QX60. The NHTSA advises that heavier vehicles are much safer in collisions than their significantly lighter counterparts. 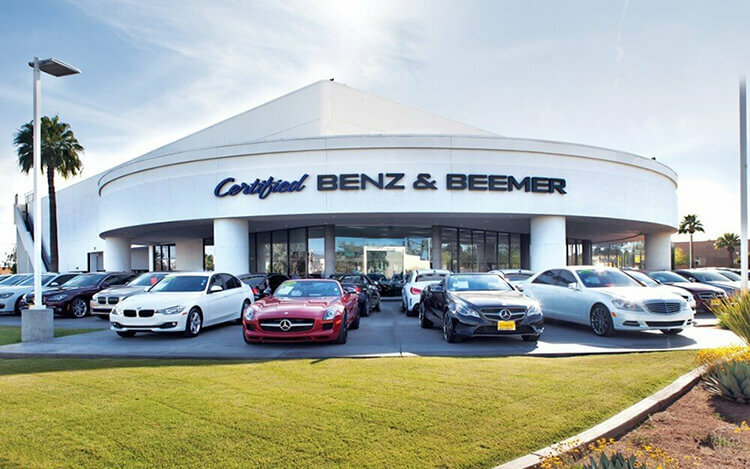 There are almost 2 times as many Mercedes dealers as there are Infiniti dealers, which makes it much easier should you ever need service under the GL-Class’ warranty. J.D. Power and Associates rated the GL-Class second among large premium CUVs in their 2013 Initial Quality Study. The QX60 isn’t in the top three in its category. QX60 Hybrid 2.5 supercharged 4 cyl. The GL-Class’ 3.0 turbo V6 diesel produces 212 lbs.-ft. more torque (455 vs. 243) than the QX60 Hybrid’s standard 2.5 supercharged 4 cyl. hybrid. The GL-Class’ 3.0 turbo V6 diesel produces 207 lbs.-ft. more torque (455 vs. 248) than the QX60 3.5’s standard 3.5 DOHC V6. On the EPA test cycle the GL350 BlueTEC gets better fuel mileage than the QX60 3.5 AWD (19 city/26 hwy vs. 19 city/25 hwy). In heavy traffic or at stoplights the GL-Class GL63 AMG’s engine automatically turns off when the vehicle is stopped, saving fuel and reducing pollution. The engine is automatically restarted when the driver gets ready to move again. (Start/Stop isn’t accounted in present EPA fuel mileage tests.) The QX60 doesn’t offer an automatic engine start/stop system. The GL-Class has 6.9 gallons more fuel capacity than the QX60 (26.4 vs. 19.5 gallons), for longer range between fill-ups. For better traction, the GL-Class has larger standard tires than the QX60 (275/55R19 vs. 235/65R18). The GL550/GL63 AMG’s tires are larger than the largest tires available on the QX60 (295/40R21 vs. 235/65R18). The GL-Class’ standard tires provide better handling because they have a lower 55 series profile (height to width ratio) that provides a stiffer sidewall than the QX60’s standard 65 series tires. The GL550/GL63 AMG’s tires have a lower 40 series profile than the QX60’s optional 55 series tires. For better ride, handling and brake cooling the GL-Class has standard 19-inch wheels. Smaller 18-inch wheels are standard on the QX60. The GL550/GL63 AMG’s 21-inch wheels are larger than the 20-inch wheels optional on the QX60. The front and rear suspension of the GL-Class uses air springs for a smoother, controlled ride than the QX60, which uses coil springs. Air springs maintain proper ride height and ride more smoothly. The GL-Class offers an available driver-adjustable suspension system. It allows the driver to choose between an extra-supple ride, reducing fatigue on long trips, or a sport setting, which allows maximum control for tricky roads or off-road. The QX60’s suspension doesn’t offer adjustable shock absorbers. The GL-Class has a standard automatic front and rear load leveling suspension to keep ride height level with a heavy load or when towing. The GL-Class’ height leveling suspension allows the driver to raise ride height for better off-road clearance and then lower it again for easier entering and exiting and better on-road handling. The QX60 doesn’t offer a load leveling suspension. The GL-Class’ drift compensation steering can automatically compensate for road conditions which would cause the vehicle to drift from side to side, helping the driver to keep the vehicle straight more easily. The QX60 doesn’t offer drift compensation steering. For a smoother ride and more stable handling, the GL-Class’ wheelbase is 6.9 inches longer than on the QX60 (121.1 inches vs. 114.2 inches). The GL63 AMG handles at .84 G’s, while the QX60 3.5 AWD pulls only .76 G’s of cornering force in a Car and Driver skidpad test. The GL63 AMG executes Motor Trend’s “Figure Eight” maneuver 2.5 seconds quicker than the QX60 3.5 AWD (26.8 seconds @ .69 average G’s vs. 29.3 seconds @ .56 average G’s). For greater off-road capability the GL-Class has a 4.4 inches greater minimum ground clearance than the QX60 (10.9 vs. 6.5 inches), allowing the GL-Class to travel over rougher terrain without being stopped or damaged. The GL-Class’ minimum ground clearance is 5.5 inches higher than on the QX60 (12 vs. 6.5 inches). The GL-Class has .5 inches more front headroom, 1.7 inches more rear headroom, 2.4 inches more third row headroom and 4.2 inches more third row legroom than the QX60. The GL-Class’ cargo area provides more volume than the QX60. Pressing a switch automatically lowers the GL-Class’ optional second and third row seats, to make changing between passengers and cargo easier. The QX60 doesn’t offer automatic folding second row seats. Unlike the driver-only memory system optional in the QX60, the GL-Class offers an optional driver and passenger memory, so that when drivers switch, the memory setting adjusts the driver’s seat, steering wheel position and outside mirror angle and the front passenger seat also adjusts to the new passenger’s preset preferences. The power windows standard on both the GL-Class and the QX60 have locks to prevent small children from operating them. When the lock on the GL-Class is engaged the driver can still operate all of the windows, for instance to close one opened by a child. The QX60 prevents the driver from operating the other windows just as it does the other passengers. The GL-Class’ rain-sensitive wipers adjust their speed and turn on and off automatically based on the amount of rainfall on the windshield. This allows the driver to concentrate on driving without constantly adjusting the wipers. The QX60’s standard intermittent wipers change speed with vehicle speed, but can’t turn on and off or change speed based on changing rainfall. In poor weather, headlights can lose their effectiveness as grime builds up on their lenses. This can reduce visibility without the driver realizing. The GL-Class offers available headlight washers to keep headlight output high. The QX60 doesn’t offer headlight washers. While driving with high beams on, sensitive light sensors available for the GL-Class detect other vehicles which could be blinded and automatically switch to low beams. The QX60 doesn’t offer automatic dimming high beams. To help drivers avoid possible obstacles, the GL-Class offers optional cornering lights to illuminate around corners when the turn signals are activated. The QX60 doesn’t offer cornering lights. The GL-Class also offers optional adaptive headlights to illuminate around corners automatically by reading vehicle speed and steering wheel angle. To better shield the driver and front passenger’s vision, the GL-Class has standard dual-element sun visors that can block glare from two directions simultaneously. The QX60 doesn’t offer secondary sun visors. The GL-Class offers optional automatic dimming rear and side view mirrors which automatically darken quickly when headlights shine on them, keeping following vehicles from blinding or distracting the driver. The QX60 has an automatic rear view mirror, but its side mirrors don’t dim. Optional Mercedes-Benz Apps for the GL-Class allows the driver and passengers access to select programs on their smartphones, including finding fuel prices at nearby service stations, searching the internet and other connected activities without taking their eyes off the road or their hands from the wheel. The QX60 doesn’t offer factory integrated smartphone program access. The GL-Class’ optional Active Parking Assist can parallel park or back into a parking spot by itself, with the driver only controlling speed with the brake pedal. The QX60 doesn’t offer an automated parking system. According to The Car Book by Jack Gillis, the GL-Class is less expensive to operate than the QX60 because typical repairs cost much less on the GL-Class than the QX60, including $82 less for fuel injection, $45 less for a fuel pump, $773 less for a timing belt/chain and $2554 less for a power steering pump. J.D. Power and Associates rated the GL-Class second among large premium CUVs in owner reported satisfaction. This includes how well the vehicle performs and satisfies its owner’s expectations. The QX60 isn’t in the top three. Motor Trend selected the GL-Class as their 2013 Sport Utility of the Year. The QX60 has never been chosen.